Slice them, halve them or eat them whole, these crusty Chocolate Chip Bread are versatile enough for however you want to eat them, whether for breakfast, snacks or desserts. 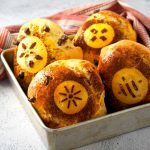 These crusty bread are made special with the addition of chocolate chips in the dough, making them appropriate as breakfasts or as treats on their own. And of course, that pattern, you just have to be drawn in by those shapes sitting on top of each bread. 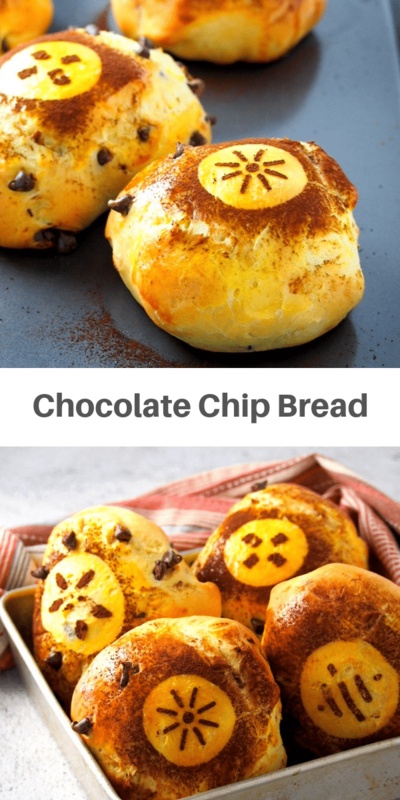 Which is optional of course, because truly, it is all about the chocolate chips, and the sturdy, tasty bread that you can slice, pull apart or eat as a whole. 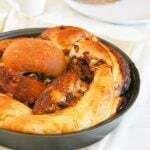 Chocolate Chip Bread- four large balls of bread that you can serve on a special morning with mugs of hot chocolate and a cup of softened butter on the side. Now that is a great way to wake up. In a large mixing bowl, combine yeast and warm milk. Let stand for about 5 minutes, or until the mixture is foamy. Add the sugar, melted butter, salt, and eggs. Stir well with a wooden spoon. Add two cups of flour and stir well until incorporated. The resulting mixture will be sticky. Sprinkle some of the reserved flour, about 2 tablespoons at a time, stirring well. Once the dough has gathered in the center of the bowl, you can stop adding the flour. Turn the dough on a floured surface. Knead the dough until it is smooth, elastic and can stretch thinly, about 6-12 minutes. Shape it into a ball and place it inside a bowl. Cover it with a clean kitchen towel or plastic wrap. Let it rise for 1 and 1/2 hours, or until the size is doubled. If you are unsure if you have kneaded enough or you’re new to it, you can check out my How To Knead Bread Dough guide with video. 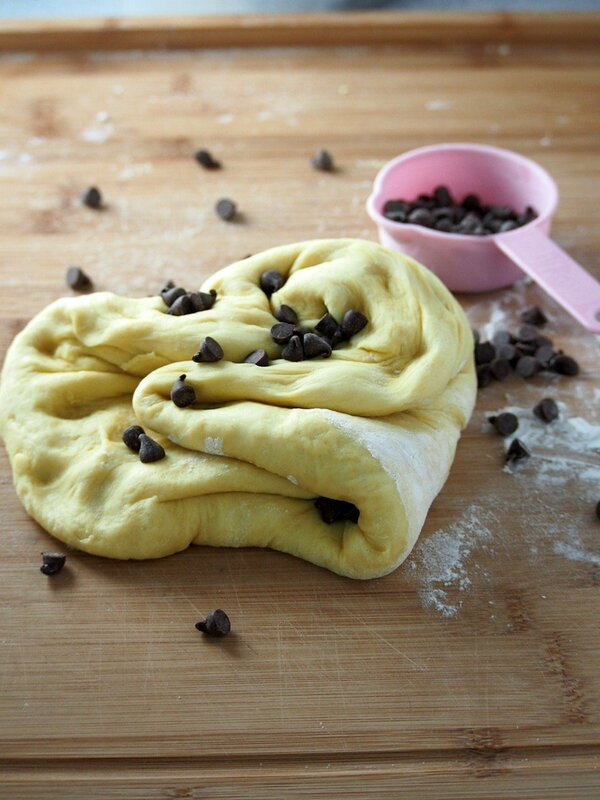 After rising, gently punch the dough down and briefly knead in the chocolate chips to incorporate. Again, just briefly. 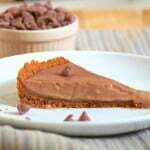 You only need to mix the chocolate chips into the dough and that is it. 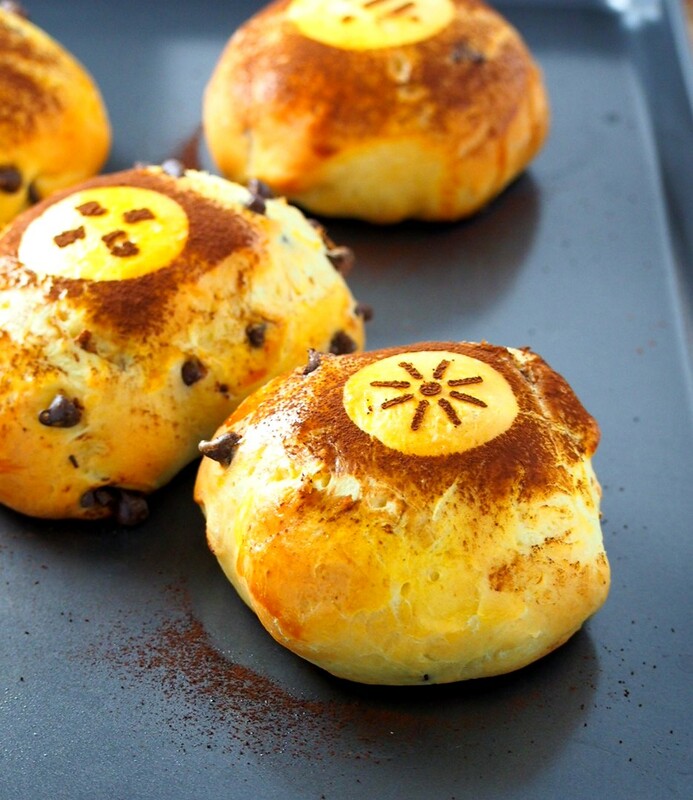 Divide the dough into 4 equal portions and shape each into a ball. Place them on a greased baking tray and cover them loosely with plastic wrap. Let them rise for about an hour, or until the size is doubled. After rising, brush beaten egg on the buns. Optional: You can make designs on the surface of the dough. 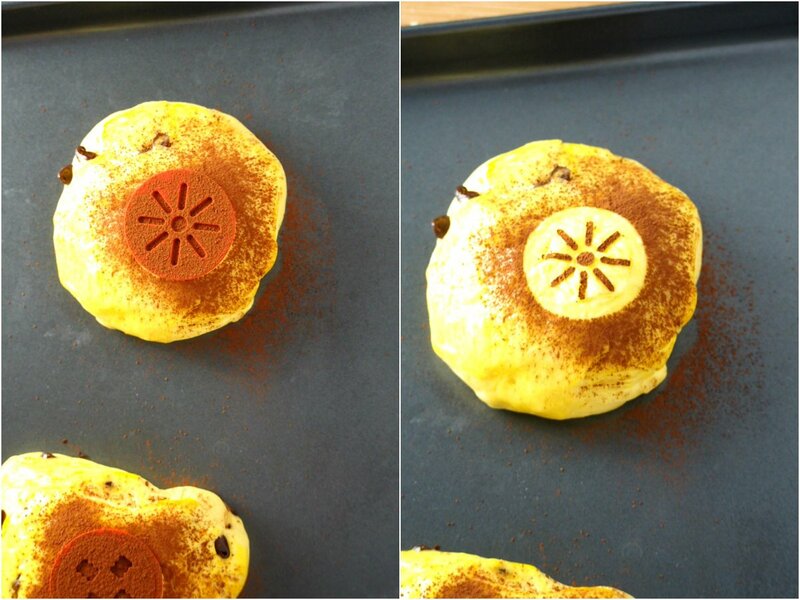 If you have stencils (I got mine from a cookie decorating kit), or basically anything that is used to trace a shape, you can place one on the bun, then using a fine mesh strainer, sprinkle cocoa powder over it and on some of the surrounding area. Once you remove the stencil, a shape should have formed on the surface. Bake the bread at 350 F for 18-22 minutes, or until the tops are lightly golden. Then dig while they are warm. 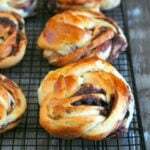 These eggy, chocolaty bread are one of life’s simple pleasures, and you can make them anytime! 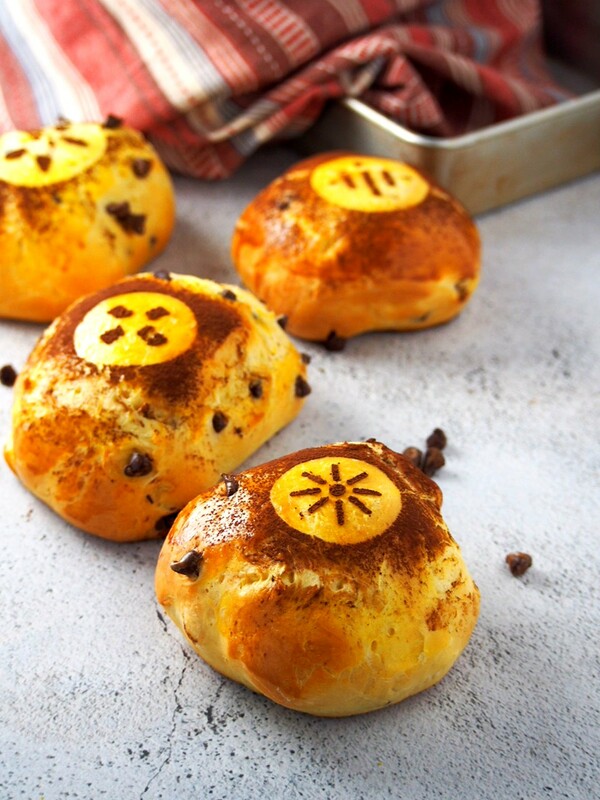 Tasty bread filled with chocolate chips. They are perfect on their own or cut into slices and spread with butter of jams. Add two cups of flour and stir well until incorporated. The mixture will now be sticky. Sprinkle some of the reserved flour, about 2 tablespoons at a time, stirring well. Once the dough has gathered in the center of the bowl, you can stop adding the flour. Turn the dough on a floured surface. Knead the dough until it is smooth, elastic and can stretch thinly, about 6-12 minutes. Shape it into ball and place it inside a bowl. Cover it with a clean kitchen towel or plastic wrap. Let it rise for 1 and 1/2 hours, or until the size is doubled. 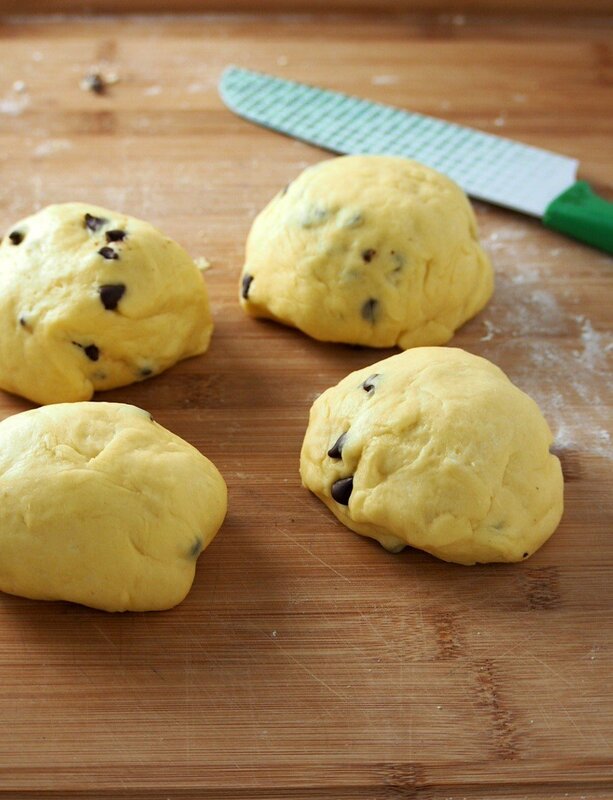 After rising, gently punch the dough down and briefly knead in the chocolate chips to incorporate. 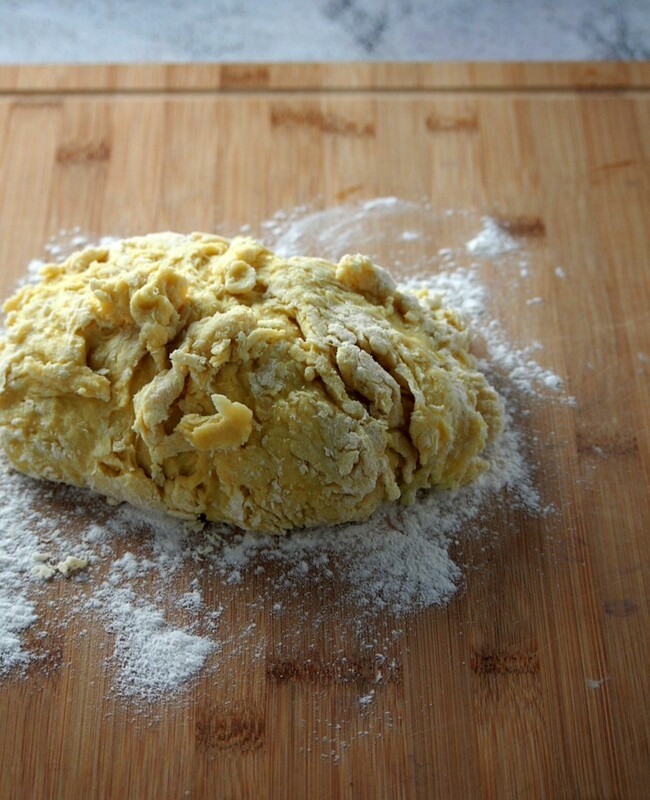 Divide the dough into 4 equal portions and shape each into a ball. Place them on a greased baking tray and cover them loosely with plastic wrap. Let them rise for about an hour, or until the size is doubled. After rising, preheat oven to 350 F. Brush beaten egg on the buns. You can make designs on the surface of the dough. 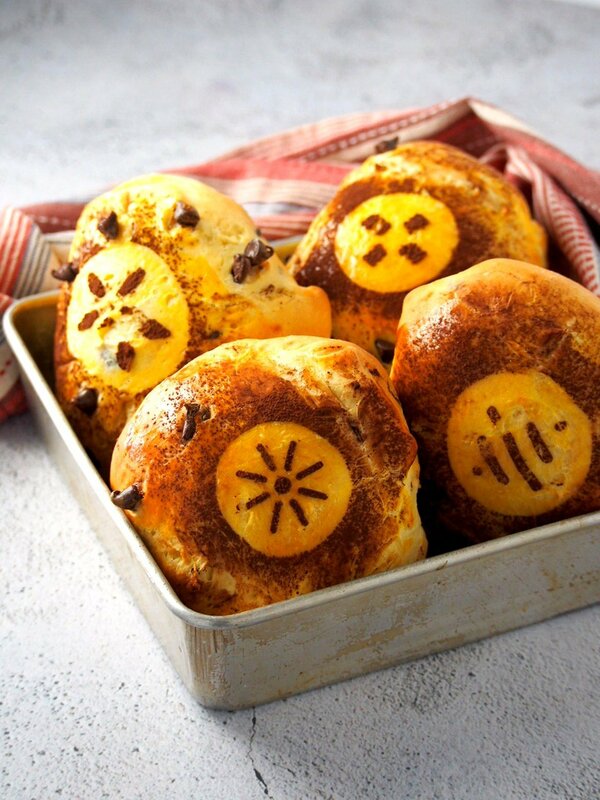 If you have stencils (mine came with a cookie decorating kit), or basically anything that is used to trace a shape, you can place one on the bun, then sprinkle cocoa powder over it and on some of the surrounding area. Once you remove the stencil, the design will be revealed underneath. 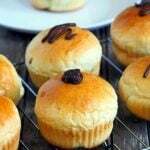 Bake them for 18-22 minutes, or until the buns are lightly golden.